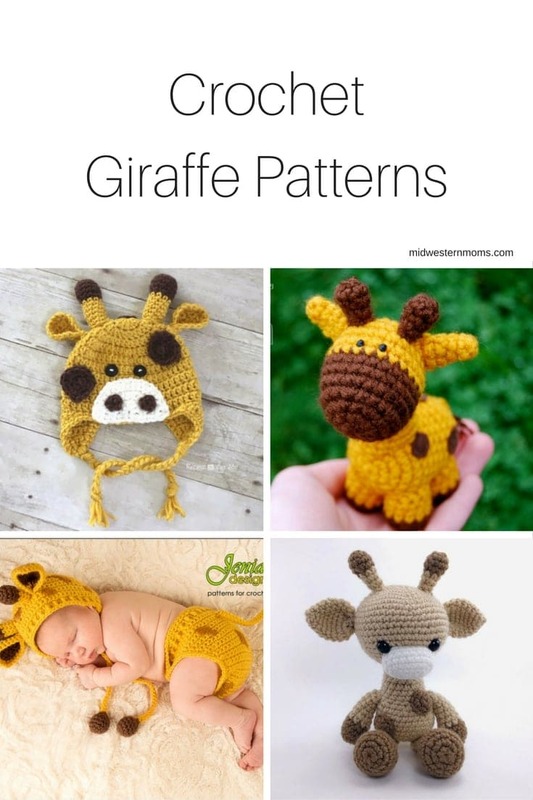 Looking for some ideas for Crochet Giraffe Patterns? There is a little bit of everything listed here. From hats to blankets! When my son was born, the theme for his nursery was giraffes. Everything had a giraffe on it. A family member even made him a tiny crocheted giraffe hat. I loved it and still hold the adorable handmade treasure dear to my heart. This hat is so adorable! Of course, crocheted giraffe hats are dear to my heart. This one is slightly different than the hat that my son received. This set is cute and perfect for a newborn photography session! Pattern included both the hat and the diaper cover. This little guy only stands 5.5 inches tall and is super cute! Stumpy would make a precious toy for a little one. This giraffe stands about 9.5 inches tall and only basic crochet skills are needed to complete this giraffe. Needing a new bookmark? This little giraffe head peeking out of the books at you is just too cute! Every baby needs a lovey. This giraffe lovey is perfect for a new baby. Another lovey! This pattern is for intermediate crocheters but I absolutely love how this one looks! OMG! This is just too cute and perfect for a giraffe nursery! I wish I had this rug for my son’s room when he was little. Simple little crochet applique in the shape of a giraffe’s head. It really is cute! This is a cute addition to a baby’s nursery. Could be for either a girl or a boy. This blanket is just sweet! The spots are made into heart shapes. The outline of the giraffe is created with the bobble stitch with this pattern. This pattern is for beginner to intermediate crocheters. Looks like it would work up pretty quickly! It would also make a beautiful baby shower gift! This is a pattern for a small stuffed giraffe and a giraffe rattle. They are super cute and perfect for baby gifts!